This past Christmas, my wife and I decided not to give gifts to each other. For previous Christmases, we each had said “no more gifts”, but one of us would ultimately violate the mandate and end up buying the other something. Well this year we each said, “No more gifts”, and we actually kept to it. Instead, we “gave” ourselves several dinners out, just the two of us, during the holidays, which was great. Personally, I really don’t need much more stuff. But more importantly, I know that having more stuff doesn’t substantially improve the quality of or happiness in my life. I may get a bump in happiness by the novelty of the item and the fact that it does something nothing else quite does (e.g. my Palm Pilot back in 1997), but that bump tends to drop off very quickly. Instead, when I look back on the things that are meaningful and truly memorable, they’re experiences, not stuff. The most positive memories are about great times, adventures, challenges, family moments, etc. Similarly, the most painful memories involve personal and family loss, setbacks, missed opportunities, etc. Frankly, there aren’t many “things” that I can think of that have the same poignancy that experiences do. They’re more likely to tell you about the time they assumed the leadership of a meaningful and important (to them and the organization) challenge or project. They’ll tell you what it meant to them to have the faith and trust of senior leadership. And what it meant to be accountable for their success. Will they tell you about the setbacks and the scars and bruises they suffered along the way? Absolutely. But those only add to the feeling of accomplishment for still being on their feet, for having risen to the challenge. So as we start the new year, think about your high potential talent, and think about the challenges your organization confronts. Surely there’s a good fit between the skills and needs of your hi-po leaders & managers and the strategic needs of your organization. 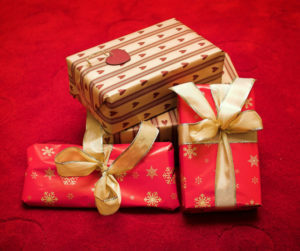 So save yourself the time of having to wrap up some flashy thank-you gift, and instead give your leaders and managers the more meaningful gift of a personally tailored, appropriately challenging, and organizationally significant experience. They’re way better than a gift card.